In almost 20 years of working as a travel writer and editor, I’ve often been reminded that a good strategy for experiencing any destination like a local is to visit in the off-season. Paris in July is wonderful, no doubt, but there’s also something appealing about it in November, when the museums and restaurants are less crowded; waiters and shopkeepers are less harried and have more time to stop and chat. It is part of why I jumped at the chance to join the Collette Winter Wonderland trip to the Canadian Rockies in January. While I know that Banff and Jasper Park in the summer must be unbelievably stunning (they are in the winter too), I’ve also heard that along with long summer days come long queues of buses and tourists outnumbering the bears. Here are six lessons in traveling like a local from this trip which I intend to practice on my next one too. 1) Let a Local Be Your Guide. While the guide on this Collette trip, Daniel Boghen, is Canadian he isn’t from Alberta itself (he’s from Montreal). But having repeatedly led trips in the Canadian Rockies, he knows all the right people. 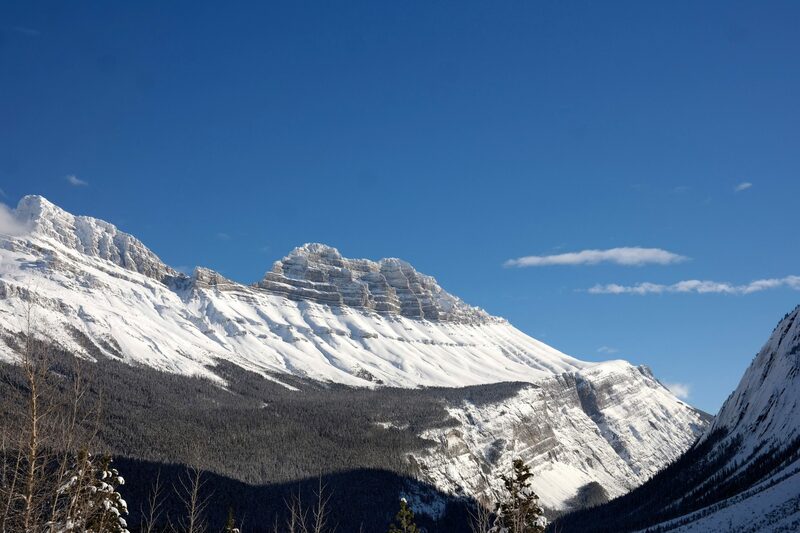 He was able to arrange experiences that aren’t available to most travelers, like an off-hours visit to the Alberta provincial legislature, and knew the best places to stop for postcard perfect shots along the Icefields Parkway. 2) Opt for Local Transportation. Traveling by train or bus is often a better way to experience a destination the way residents do than exploring in your own rental car. 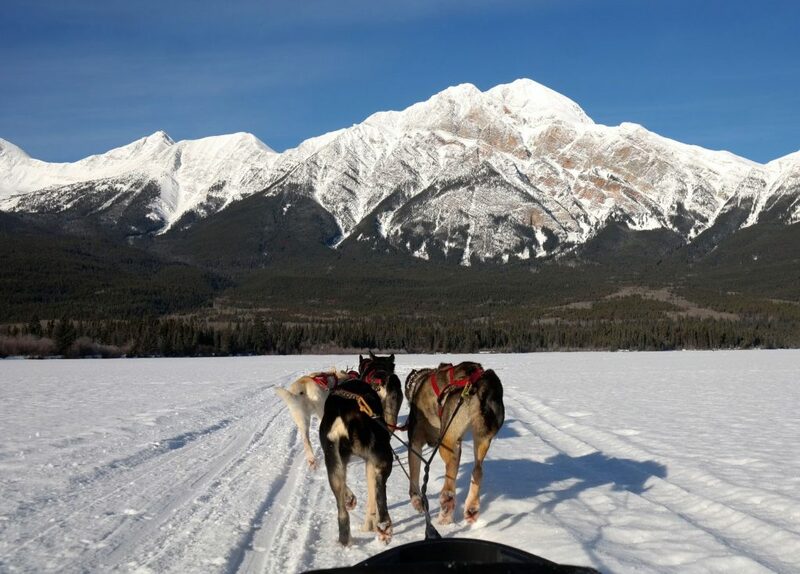 In Alberta in the winter, traveling like a local means putting on a pair of snowshoes or hopping in a dog sled. A snowshoe walk through the woods on this Collette trip was a chance to experience Jasper National Park in all its majesty without any crowds. 3) Do Your Homework. Having some context for the sights you see makes every trip richer, and I try to make time to read a history of any country I’m visiting, as well as fiction by one of its leading writers. Daniel made the homework part of traveling easier, providing us with printouts on the geology of the Rockies and explaining, in his lively way, aspects of Canada’s culture and history. 4) Try Local Foods. From Nanaimo bars (a custard bar with a chocolate base) at the Bear’s Paw Bakery in Jasper to Alberta bison at the elegant Fairview at the Fairmont Chateau Lake Louise, the trip offered a number of opportunities to try local specialties. Sample them, though you may want to beware of eating too many maple candies and desserts unless you follow them with some cross-country skiing or a glacier hike. 5) Join the Party. Alberta’s winter calendar is crowded with events to help residents get through the cold days till spring returns. Visitors are definitely welcome and our trip coincided with Banff’s SnowDays, complete with illuminated ice sculptures including a castle that served as the entrance to an ice-skating rink on frozen Lake Louise. 6) Get Up Close with the Locals. 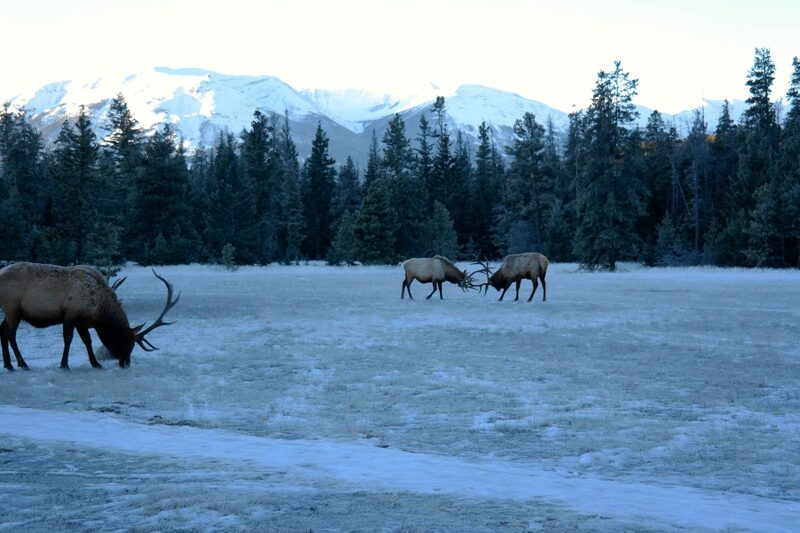 In winter, you won’t be able to see one of the Rockies’ most famous residents, its bears (as they are hibernating), but it becomes easier to spot many other animals—elk, foxes, wolves, mountain sheep, and mountain goats among them—thanks to the white backdrop of snow. Just remember to keep a respectful distance. Interested in learning more about John’s journey? 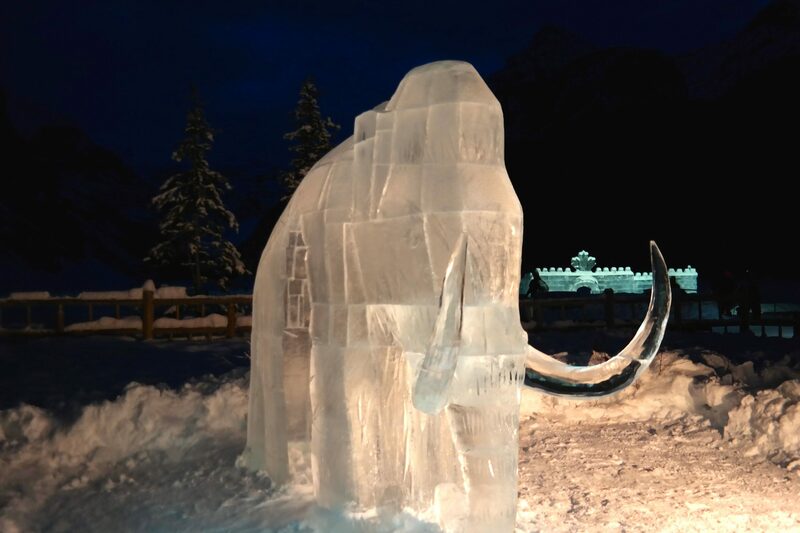 Read more about it on AFAR.com, the USTOA blog and check out Collette’s Canada’s Winter Wonderland itinerary. John has almost 20 years’ experience in travel, both on staff at Conde Nast Traveler and Travel + Leisure and writing for other magazines, newspapers, and websites. He is AFAR’s Branded Content Advisor and the founder of Signal Custom Content, a travel branded content consulting company. His 2016 plans include Ireland, Manitoba, Japan, Netherlands, and California.